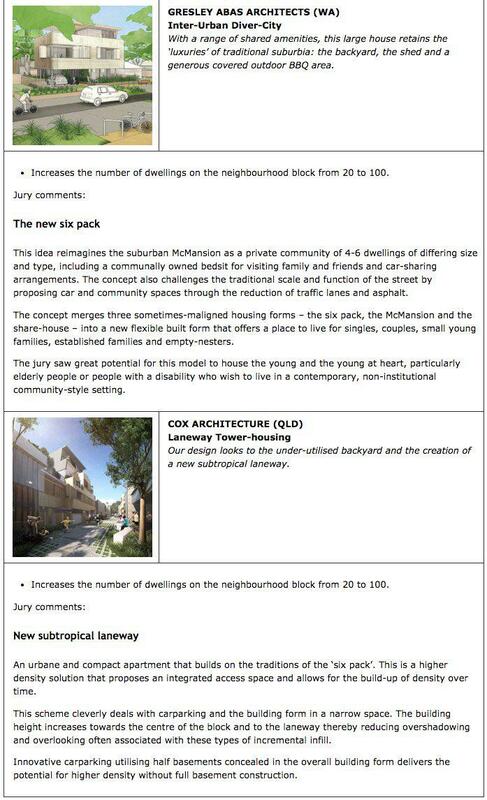 The winners of the Queensland government’s Density and Diversity Done Well ideas competition have been announced. 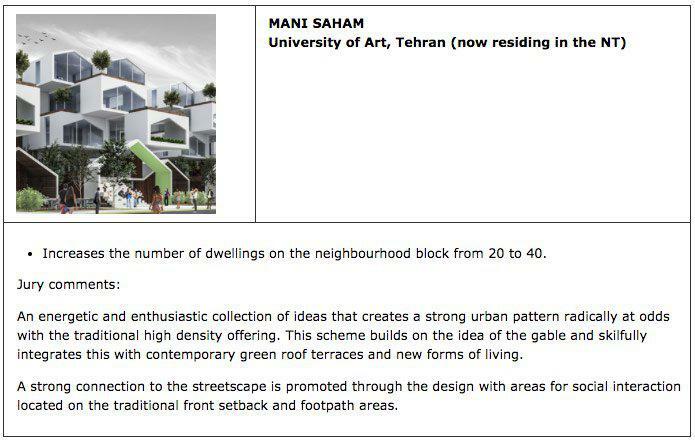 The competition was designed to challenge architects, students and building designers to create designs for housing options for a typical neighbourhood block containing 20 dwellings. The identified "missing middle" of dwellings, between high-density high-rise apartments and freestanding suburban homes, was aimed to be explored in design outcomes with new housing options. It attracted 100 submissions from across Australia. 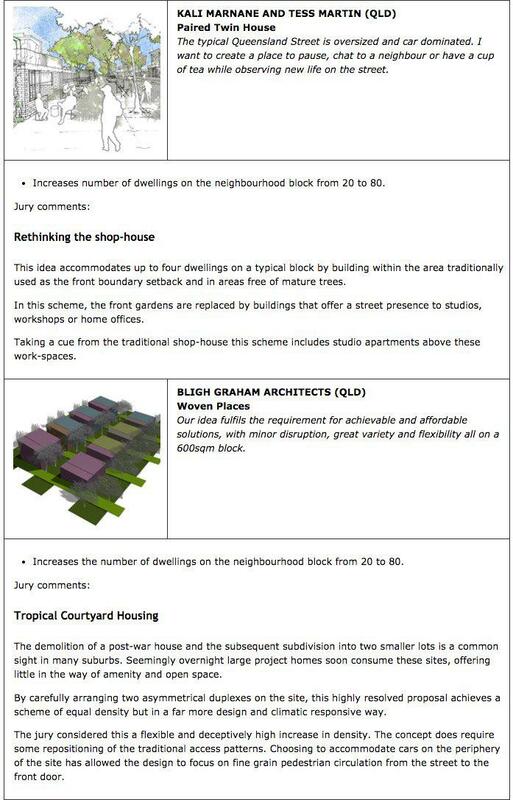 Each designer started with a typical neighbourhood block containing 20 dwellings that housed around 60 people in total and could choose to retain, raise, move or demolish the existing dwelling and determine building setbacks, parking and open space requirements. 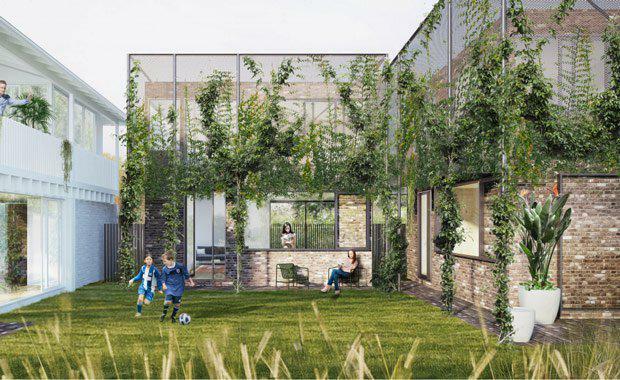 Jury chair and Queensland government architect Malcolm Middleton said that the competition was designed to encourage people to reimagine Queensland neighbourhoods. "As our population grows, it is important to allow our cities, centres and suburbs to be the best they can be. We owe this to current and future Queenslanders. 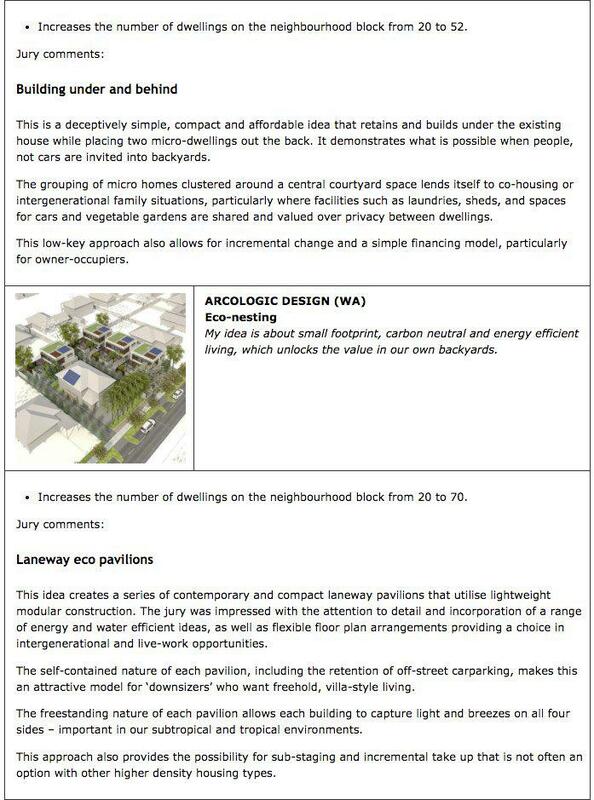 "I am delighted that designers from across Australia have embraced the Density and Diversity Done Well challenge to offer ideas for well-designed medium-density housing and mixed-use development across the state that respond to our unique climate and lifestyle offer. "The competition was a joint initiative of the Department of Infrastructure, Local Government and Planning and the Urban Development Institute of Australia Queensland. 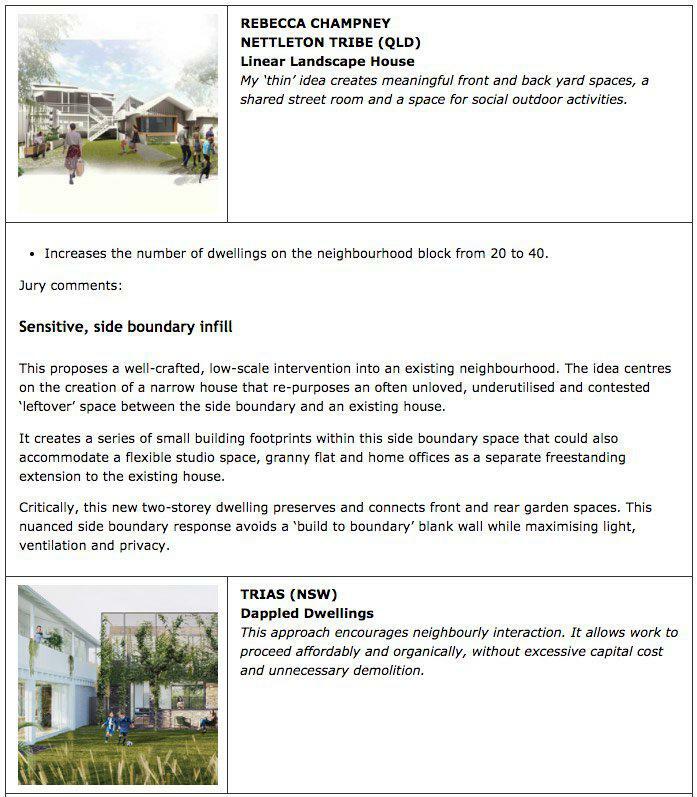 The winning entries cover a wide variety of building types from micro-housing through to compact apartments. A $50,000 prize pool with up to ten winners was available.